Our patented pods are at the heart of Keuken. We developed this solution with the most efficient customer journey in mind; it's as simple as Select - Pay - Go. These three steps normally take between 5 and 10 seconds to complete, which can reduce queuing times and boost impulse sales. Our affordable pods are fully customisable and can be configured with a customer's preferred colours, branding, and other visual requirements. 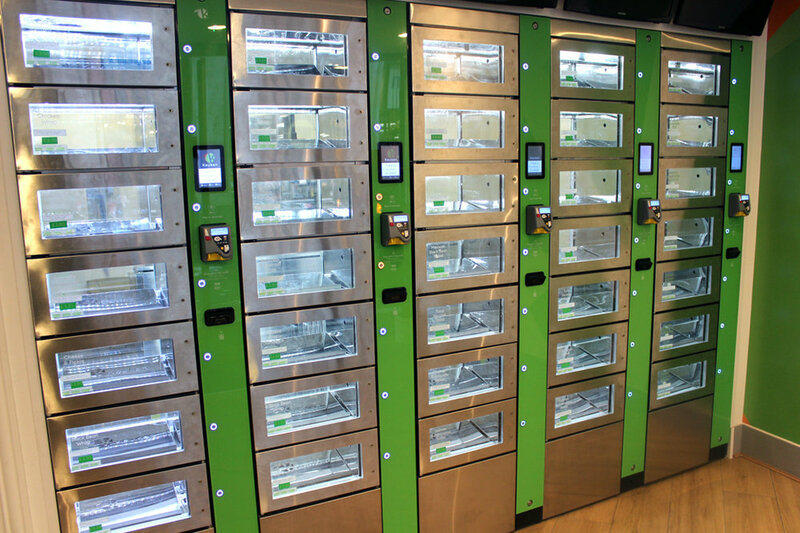 The pod units can be adjusted in size and customised to fit any space, including shop-front windows. Furthermore, the pods themselves can be adjusted in size, temperature, and branding to fit the customer's needs. All pod solutions come with our extensive software that can provide real-time data analytics, monitoring, and sales data to give you the best possible insight into trading trends and consumer behaviour. Our pods also work with vouchers / QR codes and API connectivity which allow you to offer discounts to your customers, link to loyalty schemes or provide pod access via your existing application. The pod units are cloud-connected, offering infinite add-on development possibilities. For more detail, please see our software page. These pods are perfect for the front of a kitchen, a high-volume distribution point, or a shop window. It allows your staff to refill products from the back of the machine without customers losing sight the inside of the store. They are a great solution for existing restaurants, supermarkets, motorway service stations, that would like to boost sales and reduce queues or to provide high-speed custom ordering solutions. Our wall mounted pods work the same way as our two-sided pods but are refilled from the front. This allows our pods to be installed directly against a wall, taking full advantage of available space. 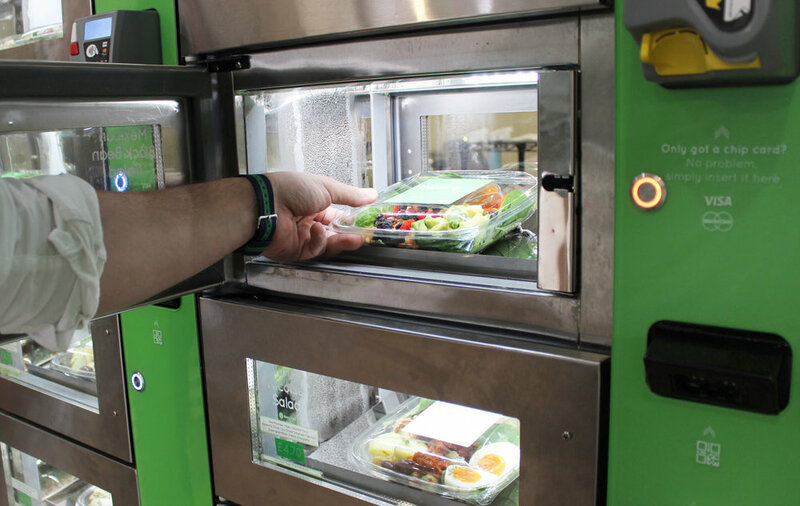 It's a perfect add-on for any type of store, kiosk, or sales point but could also provide an innovative solution for catering options within offices or conference spaces or as a delivery point for custom food, meal-kits, or other perishable product. Both of our pod models have very limited moving parts (the doors) which limits maintenance requirements; the rest is just a computer. Our service includes the maintenance to all our pods - even physical damage - as we believe in our products.